Derry Software has one mission. We solve information problems. Our company was formed through years of experience in using, developing and designing software solutions for a wide variety of needs. We learned a lot in that time about what works well for developing and deploying software, and where the challenges of delivering accurate and timely solutions present themselves. We felt there was a need to provide a superior experience for customers seeking software solutions for their information problems, and Derry Software was established to bridge this gap. Derry Software focuses on developing and participating in teams that compete to win government contracts with local, state and federal agencies. The programmatic and teaming strategies of Derry Software include the goal to proactively position ourselves in the marketplace as the best option for the core competencies of our company, and to build and become part of strong and successful teams that provide outstanding performance for our clients. Because trust is imperative to us and our clients, we build relationships with other organizations who demonstrate strong character, solid reputations and outstanding past performance. We find opportunities within our geographic area in order to provide value from our availability to potential clients and team members. We then map our capabilities to other potential team members, both large and small businesses, before developing a team whose focus and purpose is accomplishing the mission and outstanding performance. Before founding Derry Software, LLC, Jim served for over 30 years as a Soldier in the United States Army and Tennessee National Guard as a Field Artilleryman. This includes experience serving in the United States Northern, Central, Pacific and European Combatant Command Areas of Operations at the tactical level. His most recent experience was for the Tennessee Dangerous Drugs Task Force (TDDTF) where he led the development and operations of the information system, providing law enforcement with a tool for reporting, analysis, query, GIS and information sharing that has been shared throughout the nation. 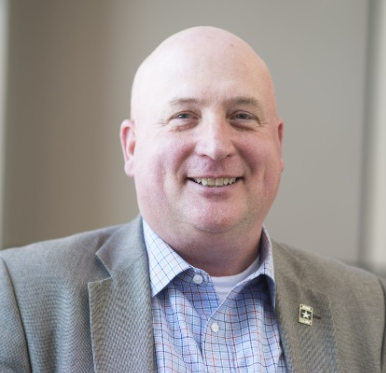 Jim is active in his local church and with the Project Management Institute (PMI), Chattanooga Chapter, where he serves in a chapter leadership role. He has a BS Degree in Computer Science from Grantham University, Project Management Professional (PMP) certification, and has completed the Basic Clandestine Laboratory Safety Course. Mission Multiplier ensures our network and cybersecurity assurance, including DFARS (NIST 800-171) and HIPAA compliance, with their proven methods of thorough planning, active security measures, and continuous monitoring.